"Life is but a song so sing a little every day." Did’ya ever see Crocodiles dancing on Rainbows? Imagine through the eyes of a five year old that anything is possible. Enjoy these songs inspired by my granddaughter Kayla. I got the idea when she was riding in the back seat of my car, and she’d sing along to tunes. She’d say “again grandma”, trying to learn all the words. I chose familiar tunes, from fairy tales, Broadway and great American composers about wishes, dreams, rainbows, magic. The songs are whimsical yet sophisticated enough that you as a parent or grandparent would enjoy them as well. My hope is to provide enjoyment and inspiration to children of all ages to pursue their dreams. Where do we find happiness? We have all been told we have to go out and look for it. I discovered that it’s not something you will find somewhere else. You already have it. In writing these songs, I learned that the happiness we seek comes from within. In the song, "If You Asked Me" I remember the experience my mother had of simply putting her hand out the window of a small plane and touching the clouds. This simple experience helped her remember the fun and amazement to be found inside ourselves no matter what is going on around us. My gift to you is to bring the true joy of life through my songs. 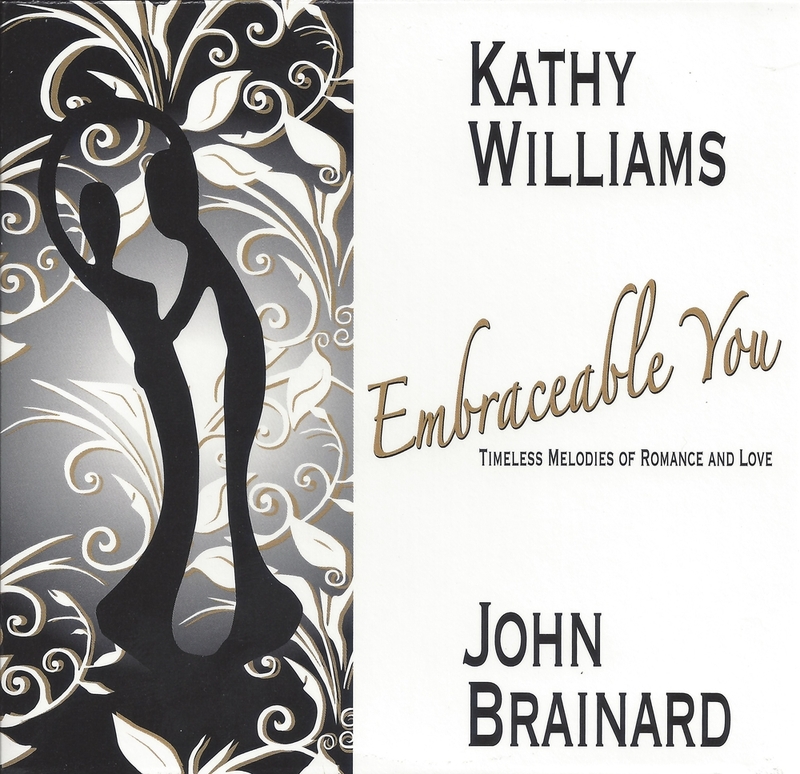 With the release of “Embraceable You”, I collaborated with longtime friend and pianist John Brainard to bring eternal love songs in piano bar style into your living room. This latest album, features romantic melodies starting in the 1930’s era of songwriters such as Cole Porter, Irving Berlin, George and Ira Gershwin. John Brainard is a working pianist, arranger and producer, residing in Los Angeles. We hope you enjoy these wonderful treasures of music, each one endearing and eternal, remind us of a time when love filled melodies touched our souls.